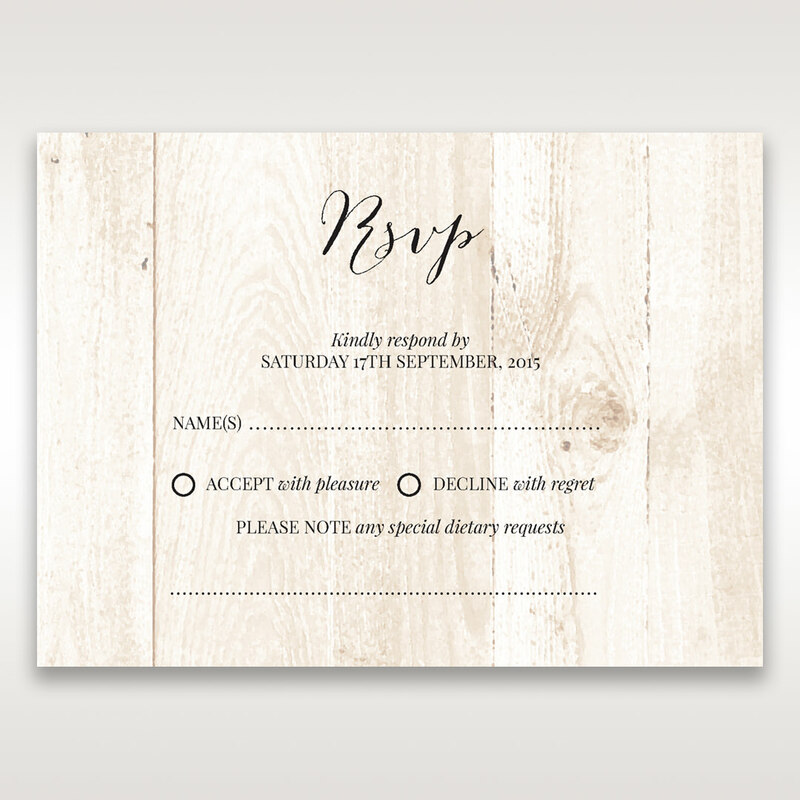 This woodland inspired RSVP card features a natural wood pattern digitally printed on a matte stock. The laid back earthy vibe is impressively perfect for your intimate countryside or outdoor wedding theme. While it exudes a rustic appeal, elegance is not amiss since our signature thermographic print is applied for the entire text. As this stationery is customisable, you can also include a personalised monogram at the top or customise the default RSVP wording to a more whimsical and homey wording that will leave your guests entertained and excited to attend your wedding. We had a little trouble when ordering Samples as our first lot never came. The Lady we spoke to was incredible and helped us so much on fixing this. We weren't expecting much from samples, but it blew us out of the water... it was incredible from the raised writing to the quality paper that's used. Thank-you so much! We will be purchasing our Wedding invites from you after the help you provided and the quality of product.